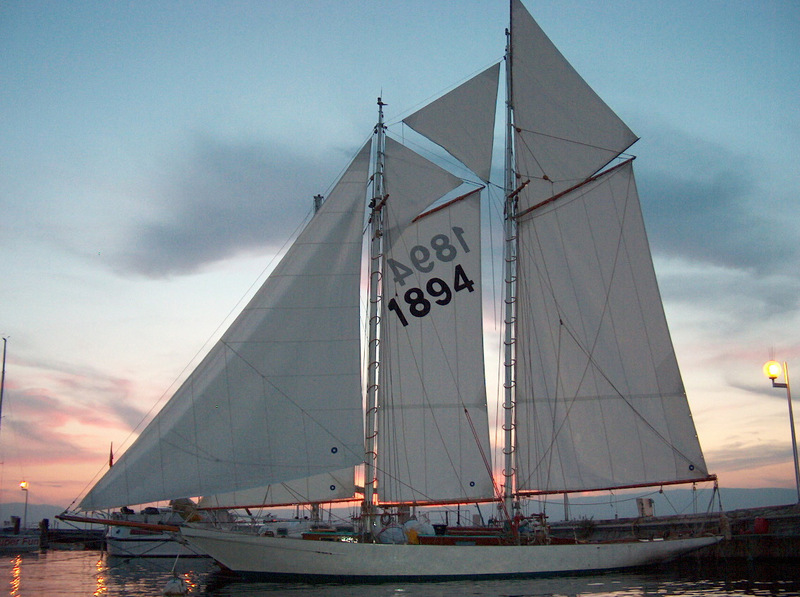 We Offer Gaff Rigged Sails. Whether you have a square sail, lateen sail, balanced/ dipping/ standing lug sail, sprit sail, sliding gunther, roslyn rig sail, junk rig, leg-o-mutten, marconi rigged, full rigged ship, miter cut, cross cut, gaff sail, raffee or any other shape Lee Sails has your next suite of sails. When the wind moves aft of the beam, and the knuckle bears to the sea, a call to crack the sheets is heard and she scoons off the wind, the way no other boat captures the thrill and art of sailing as a true gaffer does. We love them, we live to sail them and we believe there is no better set of gaff-rigged sails then those from Lee Sails. Beginning with a little extra draft in the foot, followed by strong grommets along the luff lashed to mast hoop or a simple lace, a clean well constructed cringle and symmetrical reef points and on up to the towering gaff these sails are our grandfather's sparkle and smile. Lee Sails has been fitting the worlds gaff rigged boats for over 60 years and though a vintage gaffer may not break modern speed records, our loft knows you want to sail as fast as possible under durable, well constructed and trusted gaff sails. We have many knowledgeable agents in Canada and the USA to assist you. For example, Zander and Kate. Lee Sails agents Captain Zander Parker and Captain Kate Kana are knowledgeable ocean sailors. Captain Parker has sailed both square rigged tallships and Grand Banks schooners coastwise and offshore deep ocean. Captain Kana's sailing began on the Chesapeake Bay with skipjacks and schooners and sailed under squares coastwise in California. Both agents traded cargo under sail in the South Pacific and now charter their ketch on Penobscot Bay and understand first hand many of the challenges in selecting a dependable set of sails.